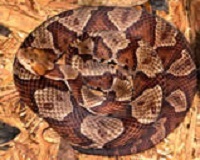 Jamie Coots, a serpent-handling pastor who is featured on the National Geographic’s reality show Snake Salvation, was killed during a service when he was bitten by a rattlesnake. The 42-yr0ld pastor of the Full Gospel Tabernacle in Jesus Name in Middlesboro, KY was bitten by a 4 foot long timber rattlesnake (right). Coots refused medical care and died 2 hours later. Coots practiced the so-called “signs of the gospel” found in Mark 16, which included taking up serpents. 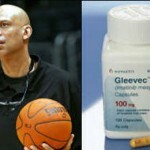 If bitten, believers often refuse medical care saying God would heal them. 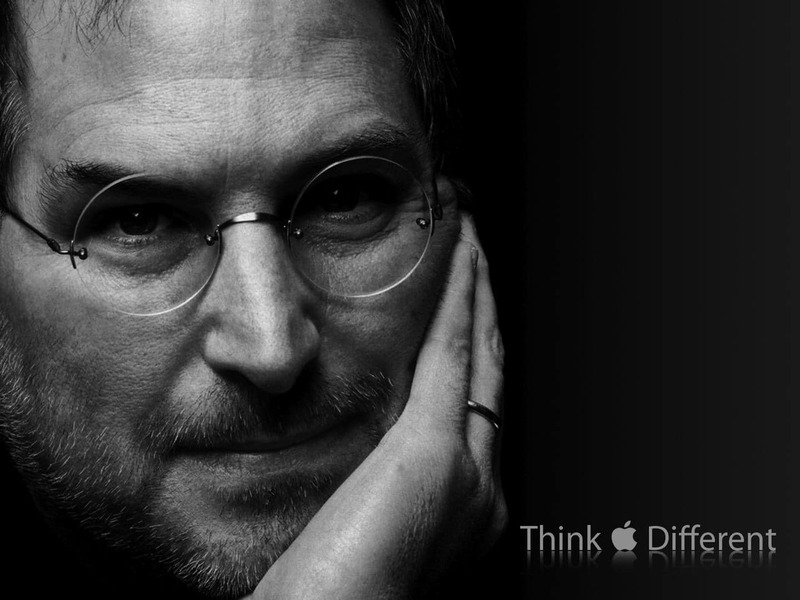 If they died, that would be God’s will. Handling serpents in worship is illegal in most states. 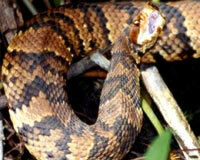 Many states also prohibit the possession of venomous serpents (including rattlesnakes). Coots first attracted attention in 1990’s when he and friend John Wayne “Punkin” Brown were featured in the book Salvation on Sand Mountain: Snake Handling and Redemption in Southern Appalachia . Brown died of a snakebite in 1998. He was arrested in 2008, when Kentucky police found dozens of poisonous snakes in his home. He was later able to get permits to own the snakes. Coots will be buried tonight. He leaves behind a wife, two children, a granddaughter and his father. What do I need to know about venomous snakes? Venomous snakes found in the United States include rattlesnakes, copperheads, cottonmouths/water moccasins, and coral snakes. It has been estimated that 7,000–8,000 people per year receive venomous bites in the United States, and about 5 of those people die. There are many species of rattlesnakes in the United States. 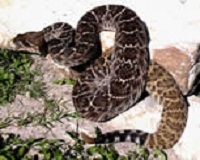 Rattlesnakes are the largest of the venomous snakes in the United States. They can accurately strike at up to one-third their body length. 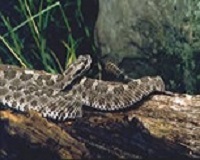 Rattlesnakes use their rattles or tails as a warning when they feel threatened. 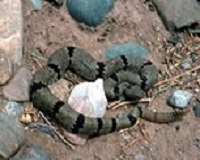 Rattlesnakes may be found sunning themselves near logs, boulders, or open areas. These snakes may be found in most work habitats including the mountains, prairies, deserts, and beaches. U.S. Geographic Region: Across the United States. Copperheads vary in color from reddish to golden tan. The colored bands on their body are typically hourglass-shaped. 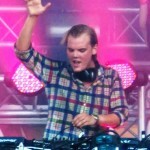 Most adults are 18–36 inches long. They are not usually aggressive, but will often freeze when frightened. 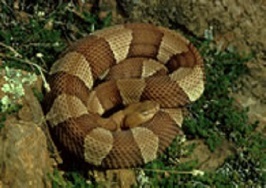 Workers are more likely to be bitten when they unknowingly step on or near a copperhead. Copperheads are often found in forests, rocky areas, swamps, or near sources of water like rivers. U.S. Geographic Region: Eastern states, extending as far west as Texas. 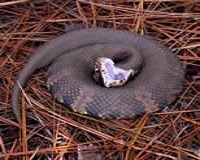 Cottonmouth snakes average 50–55 inches long. 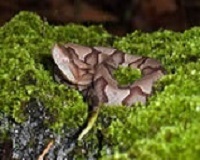 The adult snake’s skin is dark tan, brown, or nearly black, with vague black or dark brown crossbands. 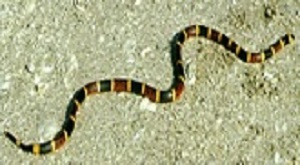 Juveniles have a bold crossbanded pattern of brown or orange with a yellow tail. 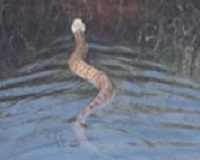 Cottonmouths are frequently found in or around water. 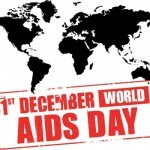 They do not scare easily and will defend themselves when threatened. U.S. Geographic Region: Wetland areas, rivers, lakes, etc., in the southeastern states. These snakes are often confused with nonvenomous king snakes, which have similar colored bands although in a different arrangement. However, if the red bands are touching the yellow bands, then it is a venomous coral snake. 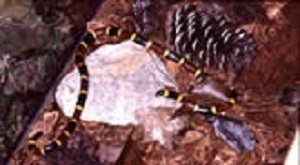 Coral snakes tend to hide in leaf piles or burrow into the ground. What are the symptoms of snake bite? Next Story → See MasterChef Graham Elliot’s Dramatic Weight Loss!